Blog – Old Stone Books Ltd.
On March 9, 2019, Prime Minister Justin Trudeau, on behalf of the government, issued a long-overdue apology for mistreatment of Canada’s Inuit community during tuberculosis outbreaks in the past. Between the 1940s and late 1960s, Inuit suffering from tuberculosis were taken to hospitals in southern Canada for treatment. Many of those who died in the hospitals were buried locally in unmarked graves, rather than having their remains returned home. Very often, Inuit families never learned what had become of their loved ones. As part of its apology, the federal government is planning to release database information to help the Inuit locate gravesites of family members who were taken to southern Canada for treatment. Thanks to the Scarborough Historical Society for inviting me to speak about Exile Air at their January 2019 meeting. After my presentation, it was a treat to meet many Society members, and chat about our shared interests in World War II history, the Royal Norwegian Air Force, and beautiful Muskoka. Many thanks to the Society for a great evening! On January 22, 2019, I’ll be speaking to the Scarborough Historical Society about Exile Air: World War II’s “Little Norway” in Toronto and Muskoka. The meeting will be held at the Bendale Public Library, 1515 Danforth Road in Scarborough at 7:30 p.m. I’m looking forward to talking with Scarborough Historical Society members about the Royal Norwegian Air Force wartime training camps, and the brave recruits who learned to fly there! History of Muskoka Regional Centre as a TB hospital described in newspaper article. 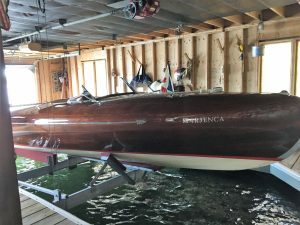 80th Anniversary of Dr. Kendall’s Greavette boat! 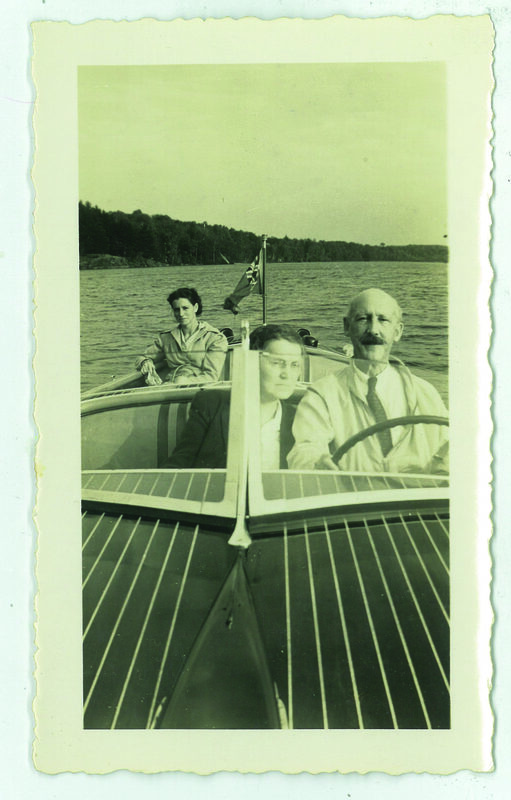 Dr. Walter Kendall and wife, Lucie Kendall, in front. Una Baston in rear. 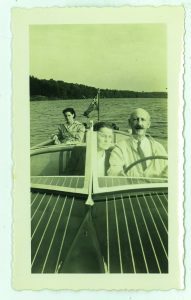 Eighty years ago, Dr. Walter Kendall, physician-in-chief at the Muskoka Hospital, a tuberculosis sanatorium in Gravenhurst, purchased this 24 foot long wooden Greavette boat. This past summer, I had the great privilege of cruising on Lake Joseph in this same boat, along with two of Dr. Kendall’s granddaughters, as guests of the boat’s owners Pete and Helen Little of Toronto and Muskoka. 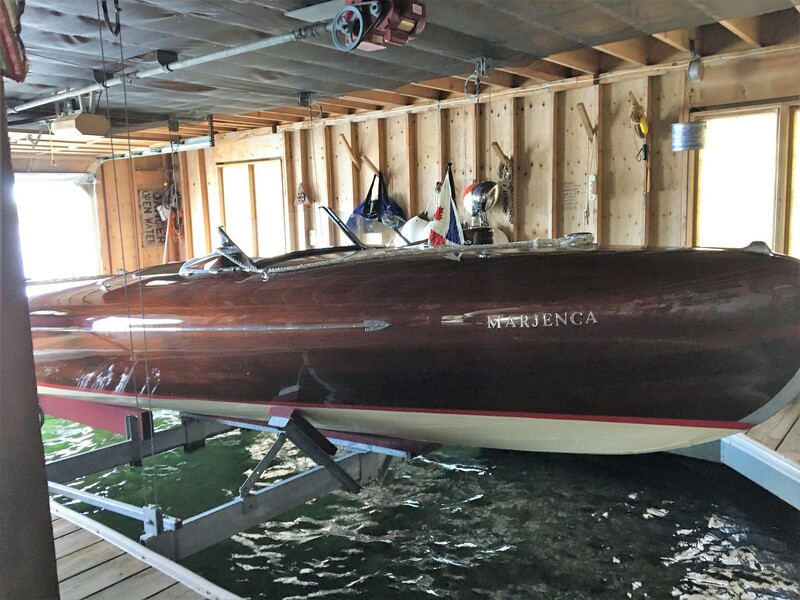 Now named the Marjenca, the boat has been beautifully and lovingly restored. 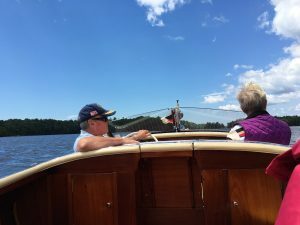 Thanks to Pete and Helen for such a thrilling ride on the boat’s 80th anniversary! 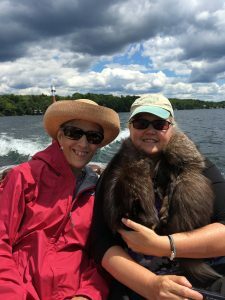 Dr. Kendall’s granddaughters, Barb Robillard and Cynthia Percival, enjoy the ride. It was lovely to visit the beautiful Baysville Public Library in July, and give a talk about Exile Air. Thanks to librarian Lizann Brunskill for the great hospitality! 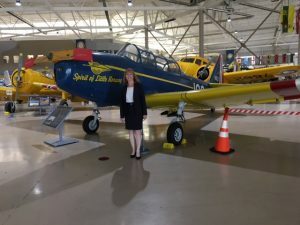 I enjoyed speaking to the Canadian Warplane Heritage Museum’s Tour Guides on July 19. 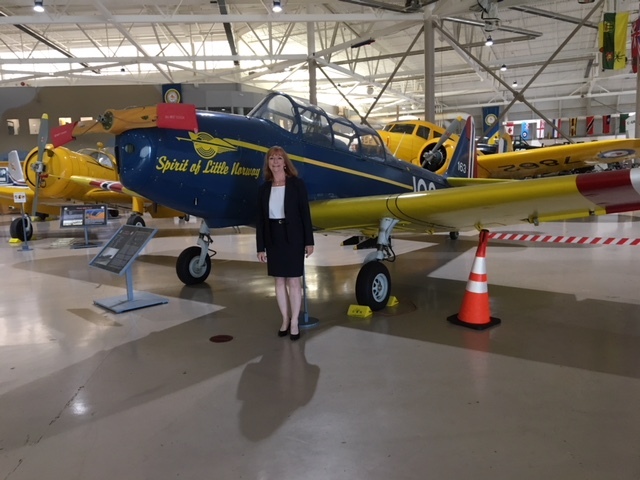 Afterwards, there was a special treat: a visit with the museum’s Cornell PT-26. This restored Cornell has been painted with the colours and markings of Little Norway’s aircraft and named “Spirit of Little Norway” in honour of the original Norwegian planes! 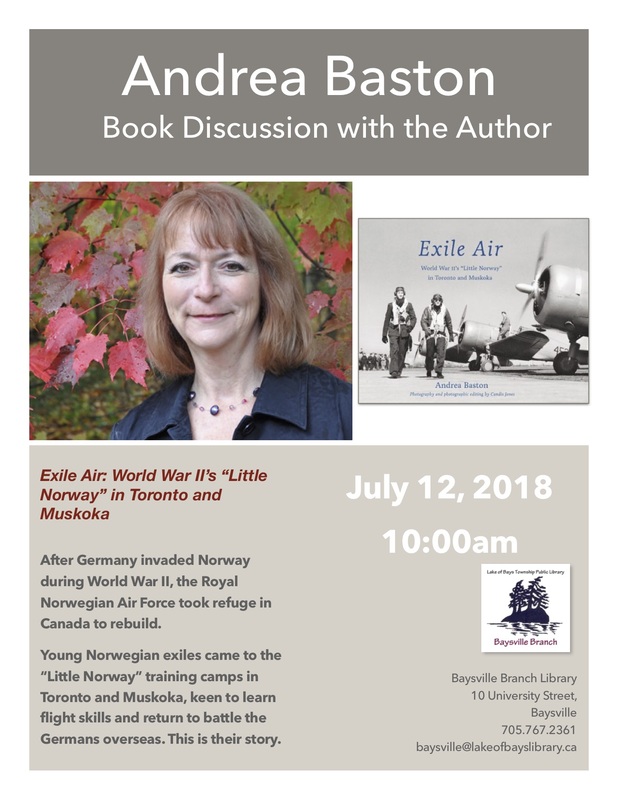 I’m looking forward to speaking about Exile Air at the Baysville Public Library on July 12. Everyone welcome! 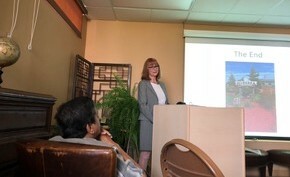 It was lovely speaking about Exile Air to the District Municipality of Muskoka’s W.I.S.E. Seniors Club in Bracebridge, Ontario, on June 4, 2018. I was delighted to meet a couple of audience members who had personal memories of Little Norway, the Royal Norwegian Air Force’s wartime camp at Muskoka Airport. Thanks to the Club for inviting me! 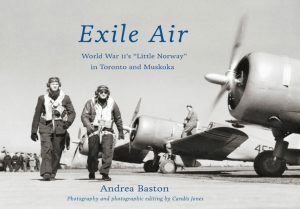 Exile Air: World War II’s “Little Norway” in Toronto and Muskoka is a well-researched and interesting book by Andrea Baston that “…tells a true, inspiring story from Canada’s and Norway’s history – that of camp Little Norway and of the young recruits who trained there.” Baston’s book covers the Norwegian recruits who came to Canada during WWII, following the invasion of Norway by Germany, and joined the Royal Norwegian Air Force (RNAF) where a flight training camp was first located in Toronto and later near Gravenhurst, Ontario at the Muskoka Airport. The recruits had escaped their homeland returning later as “Little Norway’s” airmen flying in squadrons of Britain’s Royal Air Force. 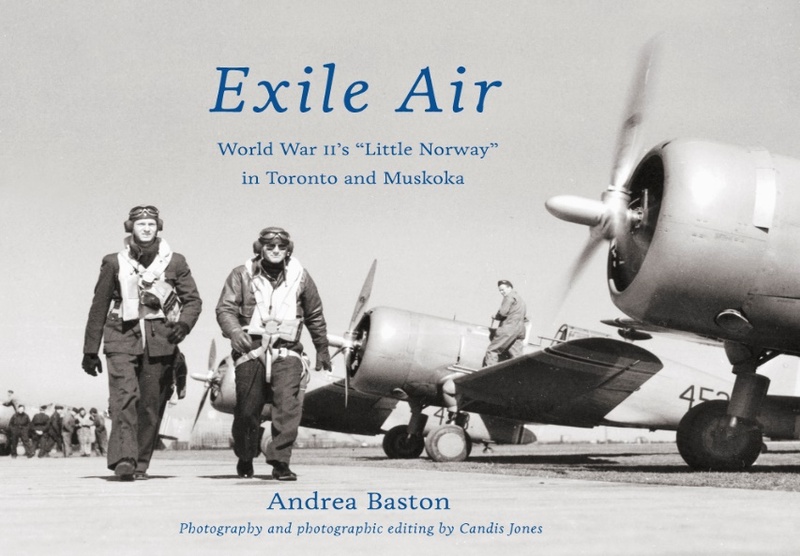 The informative book covers the invasion, the establishing of an air training centre in Toronto for exiled Norwegian airmen, the centre’s move to Muskoka Airport, Dieppe, life at Little Norway – and lots more. It’s important to learn about local history and wars and Exile Air provides an interesting look at both. Complementing the fascinating text are excellent black-and-white photos throughout the book! From www.ourwindsor.ca, May 25, 2018.